You have authored a number of books on modern warfare, with Warrior 178: US Army Green beret in Afghanistan 2001-02 coming out this month and Elite 212: US Army Rangers 1989-2015 coming out in May. What are the challenges that you face in writing about events that are so recent? There’s perhaps not surprisingly a fair few! Most importantly, I have to ensure that anything I write in no way inadvertently exposes what are known as TTPs (Tactics, Techniques and Procedures) which are essentially the operating methods of Coalition units. These guys (and increasingly girls) are obviously forward-deployed fairly constantly on real-world operations in Iraq, Syria and various other nasty places and I am painfully aware of the fact that the bad guys have internet access too. Along with actual techniques and some surveillance capabilities for instance, the other big area that I tend to avoid including any real detail on is the field of counter-IED measures again for obvious reasons. I thankfully have a number of individuals who have served in varying capacities during the War on Terror who are very generous with their time and who will give me a good steer on such matters. Of course if we’re in any doubt at all about something, it just doesn’t make it into the book- it’s as simple as that. Besides protecting TTPs (and the associated protection of the identities of SOF personnel), getting reliable information on units that operate largely in the shadows can be difficult. This can sometimes be an issue of nationality- UK Special Forces for example are notoriously tight lipped whilst the Americans, Australians and many European nations are far more open to discussing the operations of their SOF units and even releasing imagery and video in some cases. The French counter terrorism unit, GIGN, even has its own Facebook and Instagram account! Those same circle of folk I mentioned earlier have also assisted me in providing research materials or putting me in touch with people who could help. Again different militaries have different ideas on this- the US seem far more willing to ensure the sacrifices of their guys are recorded. I have received a lot of support from various veterans’ organisations in the US like the Special Forces Association and from institutions like the wonderful Airborne and Special Operations Museum at Fort Bragg- they’ve been incredibly supportive. Looking at your bibliography it is clear that your main interest is in the recent conflicts in Iraq and Afghanistan. What is it that draws you to them in particular? 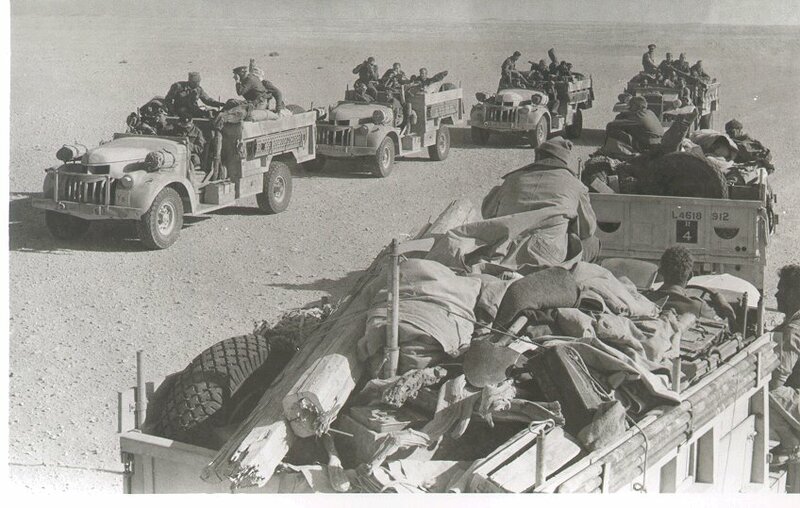 It’s really an extension of my fascination with special operations historically- small groups of bearded blokes going off to do daring things in strange places- the whole LRDG thing! 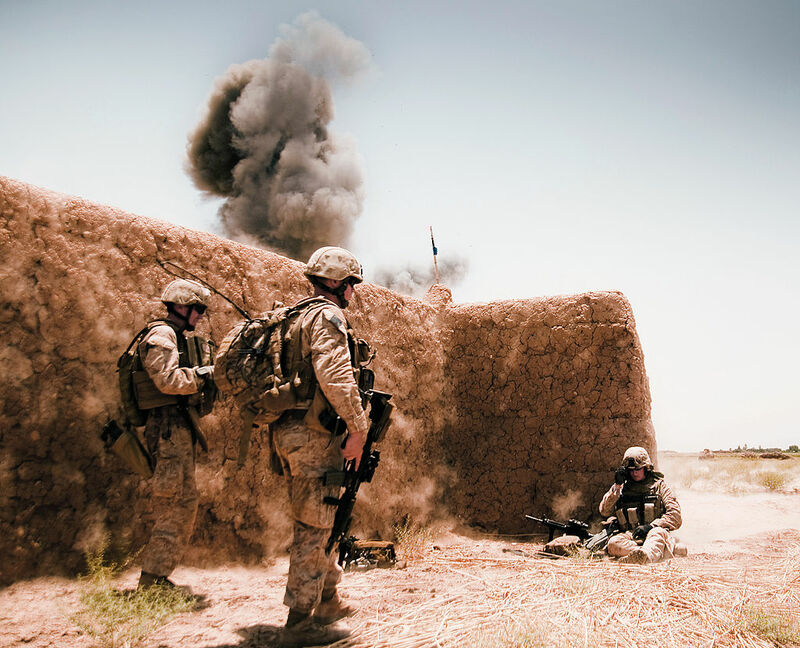 Afghanistan was first and foremost an SOF mission and one could argue that the entire so-called Global War on Terror has been pretty much SOF led. The systematic destruction of al Qaeda in Iraq was conceived and carried out by perhaps the most lethally effective SOF task force the world has ever seen… these guys are really the main effort in counter terrorist campaigns and are certainly an integral part of wider counter insurgency efforts. Apart from that fascination with SOF, I have an abiding need to document these wars that are happening in my lifetime. There are a lot of superb biographies out there from those who have served in places like Iraq or Afghan but very few books that take perhaps a wider view of events, particularly in the SOF world, and that’s where I see my place. I want to document these wars, the guys who fought in them and their fallen, and make sure they’re not forgotten or somehow airbrushed out of history. Obviously a key feature of modern warfare is counter insurgency, and that is something that you have written extensively about. What would you consider to be the most significant changes in counterinsurgency tactics over the past couple of decades? In terms of tactics, a lot of it still dates back to the last century from formative experiences in various former colonial possessions- from Algeria to Vietnam, thinking from all of these ‘small wars’ make up a lot of today’s COIN manual. How those tactics are carried out has changed significantly however- things are thankfully a lot more nuanced today. ROEs, or the rules of engagement that govern the use of force, is an obvious major change as is the principle of ‘courageous restraint’- the idea that sometimes it’s better to get shot at by insurgents if calling in an airstrike or a mortar fire mission could lead to civilian casualties or damage to civilian infrastructure (and thus potentially breed a new generation of insurgent). The basics of identifying the individuals within the insurgency who are open to joining a reconciliation or joining the peace process and those who are considered intractable hasn’t changed although technology and cultural and sociological understanding have played a massive part in improving targeting. In simple terms, you are still destroying these intractables who will never come to the table whilst using inducements- which may be political or financial in nature- to bring the more moderate elements ‘into the tent’. This is conducted hand in glove with securing local neighborhoods by establishing combat outposts of preferably joint Coalition and local national security forces who will demonstrate to the civilian population that they can provide security whilst encouraging, and in many cases leading, infrastructure reconstruction projects. The ‘joint’ part really is essential as Coalition troops will never be deployed for long- it has to fairly rapidly become a locally driven initiative if it’s going to succeed. Security improves and cash starts to flow to local contractors and suppliers as the reconstruction starts; the market reopens because the traders can now bring in goods because you’ve secured the roads; suddenly they have a clean water supply and a medical clinic opens; the kids can start going to school; the young guys who might otherwise be tempted into the insurgency are employed as village security or as laborers on the reconstruction projects; the elders start receiving some ‘retirement funds’ to keep them and their tribes committed… you can see the picture. The population hopefully decides that it’s safer for their families and far more profitable in both political and monetary terms to support the government rather than the insurgents. That’s the theory anyway. In Iraq the Coalition were pretty successful in bringing the tribes on board and almost eliminating the influence of al Qaeda through the ‘Anbar Awakening’ and ‘Sons of Iraq’ programmes. Many of the Iraqi nationalist insurgents saw their options pretty starkly- either they could pack it in and become part of the political process (which is of course the desired end state of any insurgency) or they can be targeted and decimated by SOF like the al Qaeda types. Most of them weren’t stupid. In Afghanistan there has been some success with a similar programme that had its roots in Vietnam era COIN- the Village Stability Operations or VSO that have again been very much SOF driven. 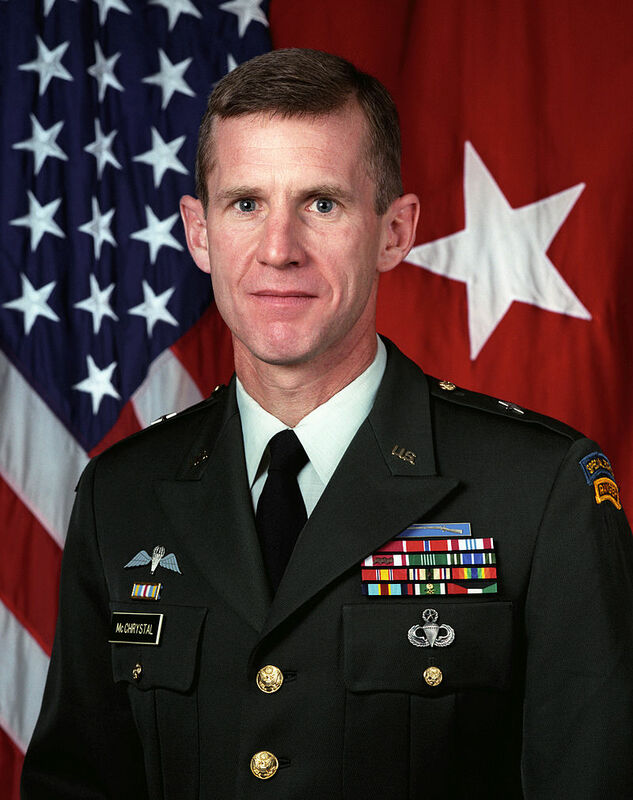 One of the other massive evolutions in COIN is the concept behind General Stan McChrystal’s F3EAD principle that he espoused in Iraq and which his Task Force used to target the terrorist and insurgent intractables- Find, Fix, Finish, Exploit, Analyze, and Disseminate. Simply this means to Identify the bad guys; pinpoint their location and daily patterns through technical and physical surveillance assets; conduct the ‘kinetic’ operation to capture or kill the targets; follow up with an immediate sweep of the target location to vacuum up any and all intelligence material from cell phones and hard drives to the ‘pocket litter’ of dead terrorists- everything gets photographed and catalogued in a very CSI-like fashion. All that material gets back to the intelligence analysts in a timely fashion- often on-board the helicopters with the assaulters who’ve just conducted the raid- to allow those guys to make the connections and develop actionable intelligence product; and then finally to get that information out to those whom it will benefit as quickly as possible- shortening the so-called ‘sensor to shooter’ loop. That kind of thinking has revolutionized the ‘kinetic’ component of COIN and you see these kind of ops now being conducted against Islamic State high value targets in Iraq and Syria. How do you expect European Special Forces operations to change given the recent terrorist attacks in Europe? This is a question I find particularly interesting as it links into my current research. The Europeans have been pretty much at the forefront of counter terrorism operations since the seventies- they largely invented the concept of specially trained and equipped intervention units after the debacle in Munich in 1972. In fact that incident led directly to the formation of one of the world’s finest CT units- Grenzschutzgruppe 9 (GSG9) of the German Federal Police. They’ve really led the way in the development of similar capabilities in other countries. GSG 9 operators rappel on a building of the German Bundeskriminalamt. Where I do see things changing is an increase in intelligence sharing within Europe- and not just within the EU- and the development of local intelligence networks specifically combatting radicalization. The Belgians and the French have recently demonstrated that their counter terrorist units- the Belgian DSU Intervention Unit, the French BRI, RAID and GIGN- are still second to none, particularly when facing some pretty determined opposition who tend to be well armed and often wearing suicide bomb vests. The type of terrorist attacks we saw in Paris is also where we are now seeing a change in how the first responders- the average police officer turning up at the scene of the bombing or shooting- is trained. Increasingly, police are applying an ‘active shooter’ strategy to these incidents rather than the more traditional ‘contain and negotiate’. Officers will now enter a location where a terrorist incident is occurring rather than await specialist tactical police or counter terrorist teams. We saw this in the Bataclan where a fairly senior officer and his driver were the first on the scene and, upon hearing the gunfire, went in anyway with no specialist kit or training. Those two rather valiant Gendarmes managed to account for one of the terrorists with their service pistols and undoubtedly saved many lives. In the UK too you can see this with the formation of a specialist CT response element within the Met Police’s Force Firearms Unit SC&O19. As we witnessed during some recent exercises in London, these guys were very aggressively assaulting into the location where the (simulated) terrorist incident was occurring with the intent of eliminating the terrorists as quickly as possible. Similarly I watched footage of a joint exercise by the French RAID and BRI just this week and they were employing very similar tactics- straight in and engage. This might well unfortunately lead to more casualties amongst the police and security forces but it has to be remembered that the opposition these days are really no longer there to negotiate for the release of prisoners or to read a statement on the 9 o’clock news or get a plane to Cuba or what have you… Now they are simply trying to kill as many innocents as possible. The counter terrorist response must take that into account. 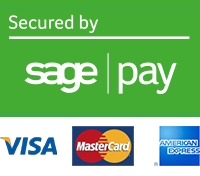 I’m pleased to see that this seems to be happening. Later on this year you have another book coming out looking at the role of the sniper on the modern battlefield. Can you tell us a little about that? Sure. The role of snipers, not to mention their training, weapons and kit, has evolved at a faster pace since 9/11 than in any other time in their history. We are seeing snipers now being heavily employed as part of the ISR or Intelligence Surveillance & Reconnaissance function available to battlefield commanders- they are very much the eyes and ears that can provide a real-time view of the location and disposition of an enemy with far greater detail and clarity than any drone or full motion video platform. Snipers are particularly useful in developing what is called ‘pattern-of-life’; spending days or weeks watching an area of interest to see who comes and goes and literally who’s who. You can’t necessarily get that from an eye in the sky at 5000 feet. We are also seeing them being employed in some pretty unconventional ways. Aerial or heli sniping is a big one. This was pretty much pioneered by Delta Force and really was refined into an art form in Iraq. 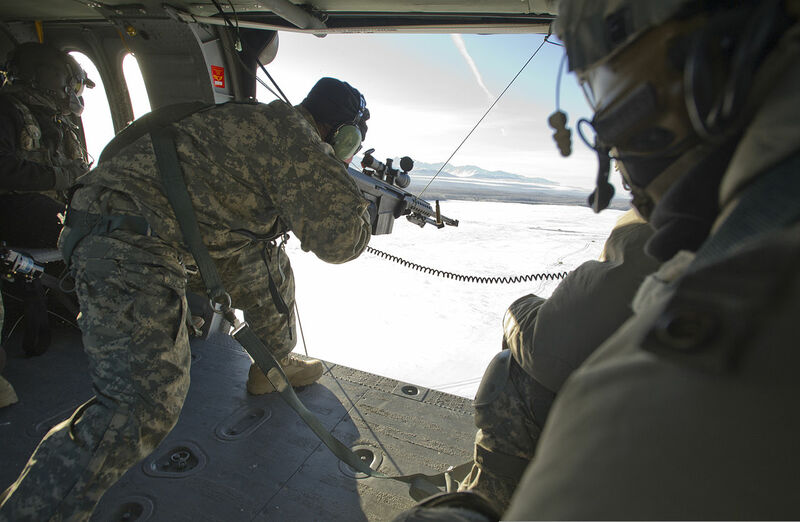 Snipers in helos provide both an excellent real-time surveillance function and the ability to place surgical fire against targets threatening a ground assault force for instance. One of the stories I recount in the book is about some SEAL Team 6 snipers who were involved in a raid on a suspected chemical and biological warfare site during the opening days of the Iraq invasion. These guys were perched on the bench seats mounted on the side of the Little Bird helicopters and they’re engaging moving targets- in one case a SEAL sniper firing from a Little Bird eliminated a gunman who was using a woman as a hostage without harming the civilian. Pretty impressive stuff. Heli sniping is also an integral part of what is officially termed an ‘aerial vehicle interdiction’ or AVI. When a target location is deemed too dangerous to raid or a target is considered ‘time sensitive’, meaning he has just been picked up on a surveillance node and you don’t know how long you’ll have a trace on him, the AVI can be the perfect tactic. An SOF team in helicopters, including snipers, can launch pretty quickly and be on top of the target before he disappears. What happens next is largely up to the enemy. Rounds will be fired by the sniper to disable the vehicle or at least convince them to stop. SOF assaulters will then land in an attempt to detain the target. If the vehicle doesn’t stop or if the target comes out shooting, the AVI snipers will be ready to deal with the threat. It’s also a tactic that reduces the risk of collateral damage to an absolute minimum- there’s no JDAM being dropped or Hellfire missile fired- it’s literally just a handful of very accurately placed rifle rounds. That’s the other big evolution we’ve seen with snipers since 9/11- they’ve been recognised as being really the only true zero collateral damage weapon in the toolbox. The sniper can engage the one guy with the AK in amongst the rioting mob or kill the suicide bomber without setting off his vest. In Afghanistan in particular they also became a vital part of the legal requirement to PID, or positively identify, potentially hostile targets before they’re engaged. With their optics and spotting scopes, sniper teams can be of huge benefit to the infantry platoon or company commander- again as we mentioned earlier, they become part of the ISR assets available. In the infantry battle, the last fifteen years or so has also seen the idea of the designated marksman come to the fore. This is where we have a specially trained and equipped marksman deployed within an infantry section or platoon. He has similar optics and, in some cases, a similar rifle to the school trained sniper but has only received a small portion of the training that a sniper goes through, mainly in long range marksmanship. His role is to provide a capability to reach targets beyond the 300-400 meter mark which is the effective range for the majority of the 5.56mm weapons in an infantry section. He also provides that improved PID capability for his section commander. So the book covers all of this and a lot more. We look at the recent modern history of both conventional and SOF sniping and explain some of the basic concepts which a lot of sniper books seem to gloss over before we go deep into the training and organisation of the modern sniper. The former Sniper Master of the Australian Army, retired Company Sergeant Major Nathan Vinson, assisted me hugely with this part of the book. Nathan is like a walking encyclopedia on sniping and was a great help. 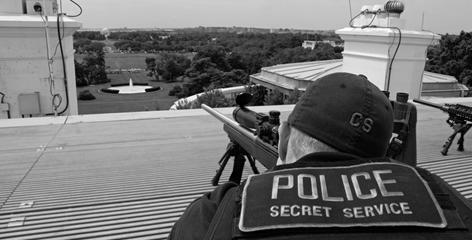 Following this, we detail the history of Coalition sniping in both Iraq and Afghanistan before we spend a chapter discussing the role of the sniper in the police and counter terrorist environment which, whilst it has some commonalities, tends to be a very different ballgame to warfighting sniping. We then examine the opposition and talk about the role and effect of insurgent and terrorist snipers, primarily focusing on Iraq and Afghanistan but also covering the likes of Islamic State and experiences of the Russians in Chechnya. Next up is a pretty detailed look at the weapons and equipment used by Coalition snipers which is as up to date as we could physically manage- I was adding details of the new H&K CSASS rifle that looks set for adoption by the US Army literally the day before the book went to print! We finish up with a very cool and unique interview with retired Sergeant Major John ‘Shrek’ McPhee, a gentleman who served with the Rangers, Special Forces and finally US Army Special Operations Command as a recce sniper. John has done some amazing things during his career, many of which are still classified, but for one example he was a member of the squadron at Tora Bora in 2001 hunting bin Laden. John retired a few years ago and now runs a pretty cutting edge training school in the United States. Anyway, he very graciously agreed to answer a few questions so we have a bit of a coup there. The use of specialist marksmen goes back centuries, even to before the invention of firearms. 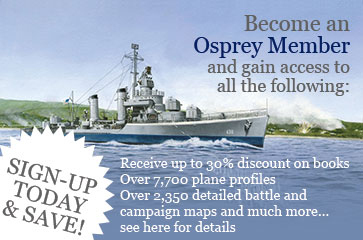 When undertaking the research for Modern Sniper did you take a look back at the history of marksmen in general? The book really looks in detail at the modern sniper in terms of the War on Terror (and beyond!) although we do touch upon the earlier history of the sniper and his tradecraft to be able to place later developments in context. We do cover the evolution of the sniper principally throughout the twentieth century but with a fair bit of focus on the last couple of decades. In terms of the eighties and nineties; Beirut, Grenada, Panama, Iraq and Somalia are all covered- Somalia in particular saw SOF snipers pushing the envelope in terms of techniques; the first AVI, the aerial sniper support to Task Force Ranger, the SEALs doing some covert work for the CIA… some very intriguing stuff. Leigh Neville's most recent publication, Warrior 178: US Army Green Beret in Afghanistan 2001-02, is available to purchase here. You can also preorder Elite 212: US Army Rangers 1989-2015 by clicking here. If you'd like to know more about Leigh Neville take a look at his website.